Background: The word "Cancer" itself is sufficient to cause a fear in the minds of people. Early detection of oral potentially malignant and malignant disorders is still a diagnostic challenge for most of the clinicians. In the present study, we have evaluated the efficacy of Rose Bengal staining in the detection of oral premalignant and malignant lesions. Aim: The aim of the study was to evaluate the efficacy of the Rose Bengal staining for the identification of dysplastic areas clinically, and then correlating the findings with the histological grading of dysplasia. Methods and Materials: A total of 20 patients were selected for the study. Patients had been evaluated clinically and histopathologically along with the grading of dysplasia, and Rose Bengal stain was painted over the lesional mucosa with the patient's consent. Incisional biopsies were taken from the stained area of the Rose Bengal dye, and studied histopathologically. Grading of dysplasia and intensity of the Rose Bengal staining were found to be correlated. Chi square test was performed and a statistical significance of P<0.001 was observed. Statistical significance was defined as P<0.001. Results and Conclusion: Grading of dysplasia and the intensity of Rose Bengal staining were directly proportional to each other according to this study. P value was found to be significant. Thus Rose Bengal stain can be used as a diagnostic aid in the detection of oral potentially malignant and malignant disorders. Background: The gingiva has been shown to be a target tissue for several hormones. Insulin induces uptake of glucose in the peripheral tissues by upregulating the Glucose transporter 4 expression. Little information is available on the expression of Glucose transporter 4 in human gingiva. Aim: In this regard, a pilot study was performed with the aim of determining the distribution pattern of Glucose transporter 4 in healthy human gingiva. Materials and Methods: Immuno-histochemistry was performed on 10 mounted sections of healthy human gingiva with the primary antibody Glucose Transporter 4 (GLUT 4). Appropriate positive and negative controls were used. Results: Glucose transporter 4 expression was observed in the basal and suprabasal layers of the gingival epithelium and fibroblasts of the gingival connective tissue. Conclusion: This may be the first study to demonstrate the expression of GLUT 4 in the healthy human gingiva. The results of this study raise the possibility that gingiva may serve as a target tissue for insulin action. Aim: The aim of this study was to evaluate and compare the importance of amount of gingival display on smile esthetics and facial attractiveness in males and females with different facial forms by orthodontists as well as lay person. Materials and Methods: Frontal photographs of 18 male and female patients (9 male and 9 female) each, at a posed smile, seeking treatment in the Department of Orthodontics and Dentofacial Orthopedics were obtained. The photographs were divided in 3 groups based on their facial forms (Short face, Average face and Long face) and were altered by moving the dentition within the lip frame of the captured photograph to bring about different gingival display at smile. The pictures were divided into six groups with gingival exposures of 0 mm, 1 mm, 2 mm, 3 mm, 4 mm and 5 mm. The pictures were rated for attractiveness by four sets of evaluators - male and female Orthodontists and male and female lay evaluators. The statistical analysis methods used for the study included Mean score calculation, standard deviation and Analysis of variance: [test (Mono- Variance)]. The Student t test (two tailed, independent) has been used to find the significance of rating scores between lay person and orthodontist, and also between males and females evaluators. Results: No significant difference in ratings of gingival display in the 3 groups of photographs was noted by lay person and orthodontists. The results point to the fact that the influence of amount of gingival display on smile esthetics was independent of the facial form. It was also observed that gingival display of 0 mm to 2 mm was acceptable to both the lay person and the orthodontists. Conclusion: As the amount of gingival display increased, the ratings for facial attractiveness by both orthodontists and lay person decreased. 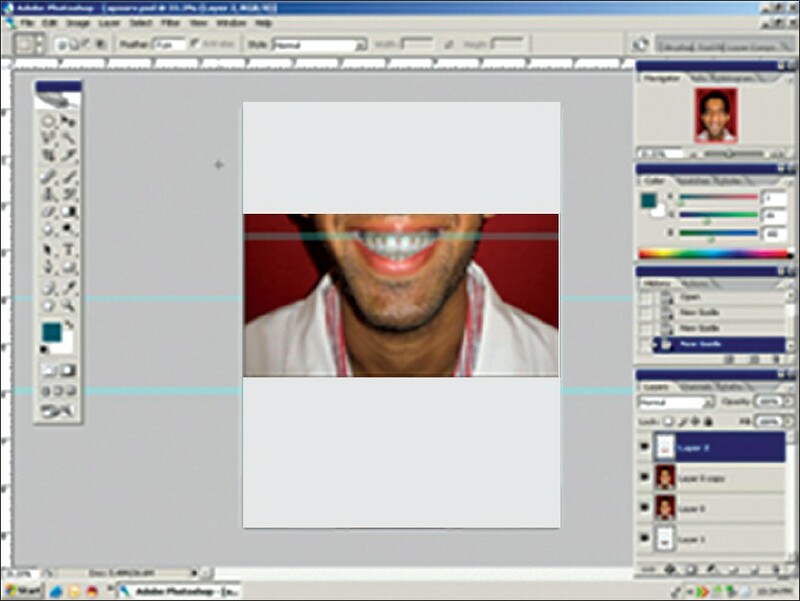 Higher scores were given by both orthodontists and lay person for photographs which showed gingival display of 0-2 mm, suggesting this value to be most acceptable. Context: Ionizing radiation is a well-known carcinogen in humans. Chromosomal aberrations and formation of micronuclei in cell cytoplasm are early biological evidence of carcinogenesis. Aims: This study was undertaken to assess the genotoxic effect of panoramic radiography in the buccal epithelial cells. Materials and Methods: The study included 60 healthy individuals (median age 23.5 years; age range 12-65 years) who underwent panoramic radiographic examination. Exfoliated buccal epithelial cells were obtained immediately before and 10 days after radiation exposure. The cells were stained with Giemsa and evaluated for micronuclei by scoring 1000 cells per sample. Statistical analysis used: The paired 't ' test was used to find out the significance of difference in the number of micronuclei before and after x-ray exposure. 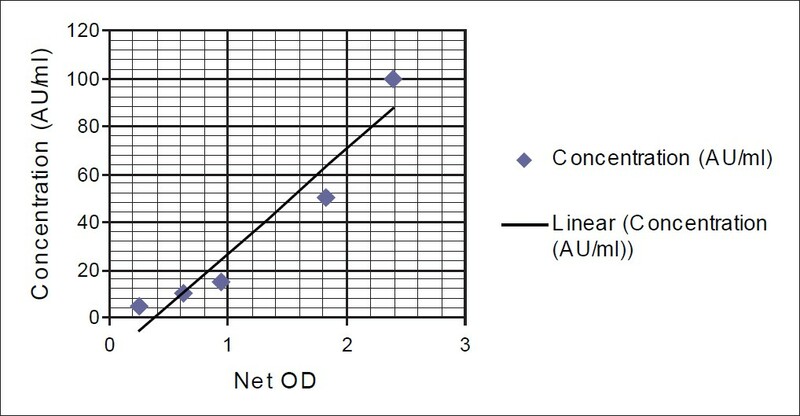 The Karl Pearson correlation coefficient was used to find out the correlation between age and micronucleated cell frequencies and number of micronucleus per 1000 cells. The ANOVA test was used to find out if there were significant differences in micronucleated cell frequencies between different age-groups. Student's unpaired 't' test was used to find out the significance of difference in micronucleated cell frequencies and number of micronucleus per 1000 cells between genders. Results: The paired 't' test showed that micronucleated cell frequencies (P = 0.02) and number of micronucleus per 1000 cells (P = 0.047) were significantly higher after radiographic exposure. The mean number of micronucleated cells before and after radiation exposure were 0.48 ± 0.14 and 0.51 ± 0.15, respectively. There was statistically significant increase in the frequency of micronuclei in buccal epithelial cells after exposure to panoramic radiography. The correlation of micronucleus frequency with age and gender was statistically nonsignificant. Conclusions: The results indicate that panoramic radiography may induce genotoxic effects in buccal epithelial cells. Considering this risk, panoramic radiography should be used cautiously. Context: Dental caries is one of the commonest oral diseases in children. Despite this fact, not many studies have been done on this issue among school children in Shimla. Aim: To assess the prevalence of dental caries and treatment needs among schoolchildren aged 12 years and 15 years in Shimla city, Himachal Pradesh, India. With this study we also aimed to establish reliable baseline data. Design: Cross-sectional study. Materials and Materials: This study was conducted among 12 - and 15 - year old schoolchildren in Shimla city, Himachal Pradesh-India. A sample of 1011 schoolchildren was selected by a two-stage cluster sampling method. Clinical recording of dental caries, was done according to WHO diagnostic criteria (1997). Statistical Analysis: The statistical tests used were the t- test, and the Chi-square test. 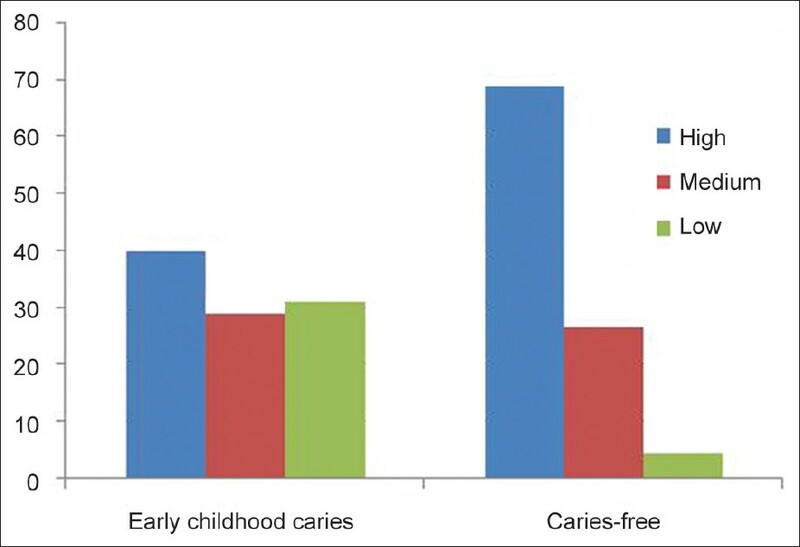 Results: The prevalence of dental caries was 32.6% and 42.2% at 12 years and 15 years respectively. At 12 years of age, the mean Decayed Missing Filled Teeth was 0.62 ± 1.42 and it was 1.06 ± 2.93 at 15 years of age. Females had higher level of caries than males at both the ages. 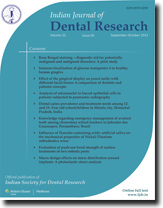 Dental caries was higher in children from government schools as compared to those from private schools. The 'decayed' component was the biggest contributor to the DMFT index. The highest treatment need at both ages was one surface restoration. Conclusion: The caries experience of 12- and 15- year-old children was low compared to WHO - 'recommended' values. Effective oral health promotion strategies need to be implemented to further improve the dental health of school children in Shimla city. Objective: The purpose of the present study was to assess the knowledge regarding emergency management of tooth avulsion among elementary schoolteachers in the city of Jaboatão dos Guararapes, Pernambuco, Brazil. Materials and Methods: A total of 338 teachers answered a questionnaire with items on emergency procedures following tooth avulsion. Results: The majority of teachers (89.1%) had received no previous orientation regarding management of dental trauma and 81.4% had not witnessed an accident in which tooth avulsion had occurred. If an avulsed tooth had fallen to the ground, 84.3% of the teachers said they would pick it up, and 67.8% of them stated that they would clean it with water or some other liquid. A total of 33.1% said that they would take the student with the tooth in hand to a dental office. Of the respondents 88.5% would seek professional help immediately; 85.2% stated they would be unable to reimplant the avulsed tooth; and 39.3% would store the tooth in water. Conclusions: A lack of technical information was observed among teachers regarding management of tooth avulsion. Educational campaigns at schools are necessary to modify the behavior of the teachers with regard to management of tooth avulsion. Further studies should be carried out for the assessment of teachers who have participated in educational campaigns to make the treatment of dental trauma a matter of public interest. Objective: This study aimed to investigate the influence of fluoride and an acidic environment on the mechanical properties of NiTi orthodontic wires (NiTiW) in artificial saliva. Design: A prospective laboratory investigation. Setting: Department of Stomatology, First Affiliated Hospital, Zhejiang University, Hangzhou, China. Materials and Methods: Commercial, round 0.016-inch NiTiW were immersed in 0% or 0.05% Natrium-Fluoride-containing artificial saliva at a pH of 4 or 6 for one or three days, respectively. NiTiW were examined with a three-point bending test, Vickers' microhardness tests and surface morphology observation (SEM). Results: A pH of 4 increased microhardness and decreased the three-point bending strength significantly (P≤0.05), whereas immersion time and fluoride concentration had no significant influence on the microhardness or on the three-point bending strength (P>0.05). When examining the test group NiTiWs after three days of immersion at a pH of 4 the SEM revealed a rough surface morphology, a damaged oxide layer and signs of corrosion. Conclusions: The most influential factor for decreasing the unloading force and increasing the hardness seems to be the pH value, whereas immersion time and NaF addition do not have a major influence. Objectives: To evaluate the push-out bond strength of two surface treatments of a glass fiber and zirconia ceramic post. Materials and Methods: Sixty samples were fabricated and divided into two main groups according to the type of esthetic post indicated for maxillary central incisor: glass fiber post and zirconia ceramic post. Each group was subdivided to two subgroups according to the type of bond strength test either between post and root or between post and core. Each subgroup was further subdivided into three classes according to surface treatment: no treatment (control), sandblasting in conjunction with silica particles then silane coating (SB+SIC+SC), etching using hydrofluoric acid then silane coating (E+SC). For the subgroups of the bond strength between post and root, each class was subdivided into two subclasses according to the location of the sample (cervical or apical). Results: Bond strength to root canal or resin core were affected by the type of post, glass fiber post recorded significant higher bond strength than zirconia ceramic. Surface treatment recorded higher values for bond strength, SB+SIC+SC gave higher bond strength than E+SC. Cervical section recorded significant higher bond strength than apical section. Conclusions: Glass fiber posts recorded higher bond strength than glass ceramic post to both root canal and resin core. Surface treatments increase bond strength for glass fiber and zirconia ceramic posts to both root canal and resin core. SB+SIC+SC gave higher bond strength than E+SC. 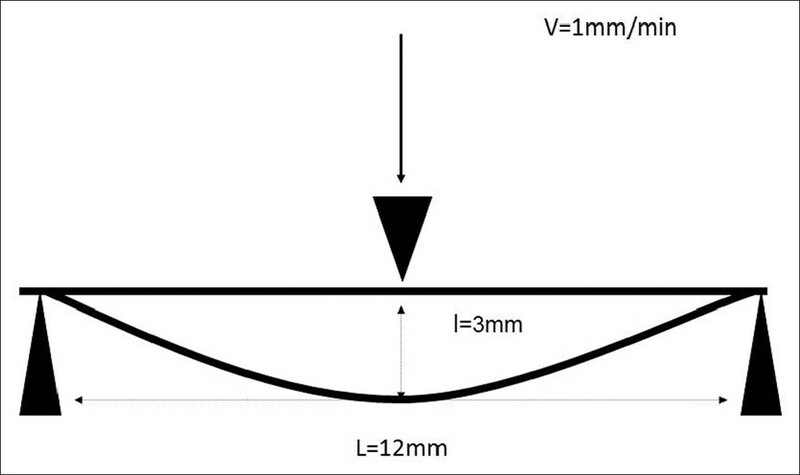 Bond strength at the cervical section is higher than at the apical section. Objectives: Biomechanics is one of the main factors for achieving long-term success of implant supported prostheses. Long-term failures mostly depend on biomechanical complications. It is important to distinguish the effects of macro design of the implants. Materials and Methods: In this study, the photoelastic response of four different types of implants that were inserted with different angulations were comparatively analyzed. The implant types investigated were screw cylinder (ITI, Straumann AG, Basel, Switzerland), stepped cylinder (Frialit2, Friadent GmbH, Manheim, Germany), root form (Camlog Rootline, Alatatec, Wilshelm, Germany), and cylindrical implant, with micro-threads on the implant neck (Astra, AstraTech, Mölndal, Sweden). In the test models, one of the implants was inserted straight, while the other one was aligned mesially with 15° angles. The superstructures were prepared as single crowns. A 150N loading was applied to the restorations throughout the test. Results: A comparison of the implant designs showed that there were no significant differences between the straight implants; however, between the inclined implants, the most favorable stress distribution was seen with the stepped cylinder implants. The least favorable stress concentration was observed around the root formed implants. Microthreads around the implant neck appeared to be effective in a homogenous stress distribution. Observations showed that misaligned implants caused less stress than straight implants, but the stress concentrations were not homogenous. Conclusion: As there were observable differences between the implant types, straight placed cylindrical implants showed better stress distribution characteristics, while inclined tapering implants had better stress distribution characteristics. Background: Pain and discomfort are common during orthodontic treatment. Aim: The aim of this single blind clinical trial was to compare the effectiveness of oral calcium versus acetaminophen in pain reduction. Materials and Methods: In this study, the patients recorded their pain on a 100-mm visual analogue scale (VAS). Forty female patients (14-19 years old) who had passed at least 2 months of their first orthodontic archwire placement and their pain intensity was 40-100 mm (VAS) were selected and randomly assigned to two groups. Psychotic status was measured using Hospital Anxiety and Depression Scale (HADS). In group 1 calcium forte tablets (500 mg) and in group 2 acetaminophen (325 mg) tablets were prescribed to be taken one tablet per day. After consumption of all tablets (n=60), pain intensity was measured and compared with that before drug therapy. Results: The results indicated that the difference in pain intensity before and after drug administration in the calcium group was statistically significant (P<0.001), but not significant in the acetaminophen group (P=0.468). The difference between the pain reduction in the two groups were also statistically significant (P<0.001). In the calcium group 9.5% and in the acetaminophen group 15.8% had anxiety that was not statistically significant (P=0.631). In both groups, no subject had depression. Conclusion: Calcium is more effective than acetaminophen in long-term pain reduction during orthodontic treatment. Aims and Objectives: to evaluate the resistance to displacement of metal intraradicular retainers of different lengths by means of the shear test. Material and Methods: Thirty-six maxillary central incisors were cross-sectioned at 16 mm from the root apex, endodontically treated and randomly divided into three groups that were treated as follows: G1 (control) preparation of 2/3 (10.6 mm) of the total root length; G2: preparation of 1/2 (8 mm) of the total root length and G3: preparation of 1/3 (5.3 mm) of the total root length. After canal preparation, a matrix was made of the coronal and radicular portions using Duralay to obtain metal intraradicular retainers. These retainers were cemented with zinc phosphate cement and subjected to the compression shear test in a Universal Test Machine (EMIC DL 2000) at a crosshead speed of 0.5 mm/minute. The results were subjected to statistical analysis by analysis of variance (ANOVA) and Newman- Keuls, which showed statistically significant difference (P < 0.01). Results: The means in Newtons and their respective standard deviations were: G1 = 972.05 (±81.36); G2 = 921.15 (±112.25); G3 = 686.66 (±113.02). Conclusion: It could be concluded that metal retainers of 2/3 and 1/2 the length of the root portion showed higher resistance to displacement values when compared with the group that had been prepared for 1/3 of the root length. Aims: The aim of this study was to evaluate the effect of temporary hydrostatic splint on occlusion with computerized occlusal analysis system. 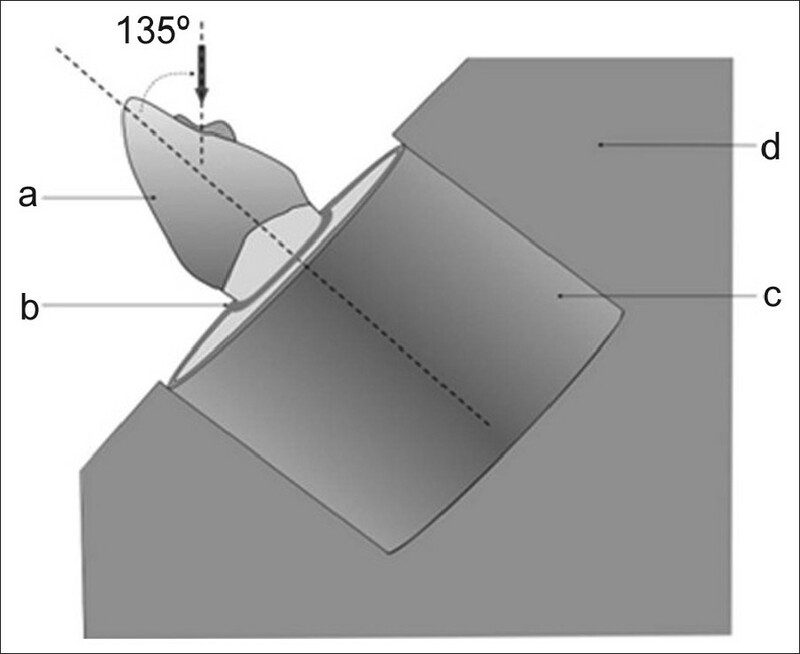 Material and Methods: Maximal bite force was recorded in intercuspal position by use of computerized occlusal analysis system from 11 female, 9 male, 20 subjects, (average age of 20) with normal intact dentitions. Subjects were instructed to use the hydrostatic splint for 24 h. Occlusal records were repeated three times before and after splint. All recordings were evaluated to determine the repeatability of the computerized occlusal analysis system. Results and Conclusion: Hydrostatic splint increased maximum biting force. Relative percentage of left and right bite forces changed in the direction of neurophysiological position of the muscles. Hydrostatic splint can be a viable option for occlusal adjustments. Aim: Compare the effect of three post designs on the fracture resistance and failure modes of composite core - fiber post - crownless tooth sets. Materials and Methods: Ninety bovine incisors were selected and divided into nine groups of 10 specimens. The teeth were assigned to three groups based on the post design: Cylindrical, tapered, and double-tapered. Each group was subdivided into three subgroups in accordance with the diameter of the post: Small (No.1), medium (No.2), and large (No.3). The Panavia F system was used for post cementation. The specimens were mounted in acrylic resin blocks with a layer of silicone rubber covering the roots. 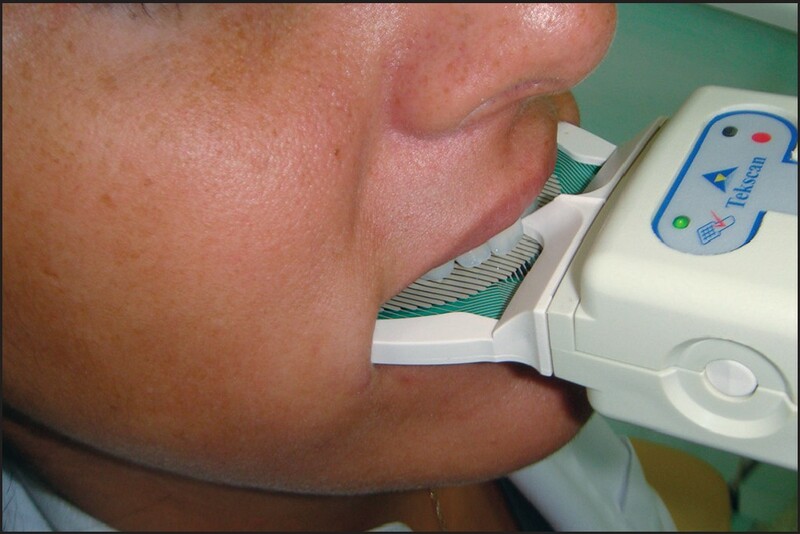 A universal testing machine compressively loaded the specimens from the palatal side at a crosshead speed of 1 mm/min and at an angle of 135Ί to the long axis of the teeth, until failure occurred. The failure mode was determined by a stereomicroscope inspection of all the specimens. Data were analyzed by one-way ANOVA and the Tukey test (P < 0.05). Results: The fracture resistance was affected by the type of post (P < 0.0001). A narrower diameter for all of the post systems allowed for higher resistance. The main failure mode in the large cylindrical group was catastrophic fractures, while the main failures in the other eight groups were favorable. Conclusion: Narrower diameter posts showed higher fracture resistance. The dominant failure pattern was repairable fracture, except for those with large cylindrical groups. Background and Aim: Early childhood caries (ECC) is one of the most common chronic childhood diseases. Saliva as a host factor plays an essential role in maintaining the integrity of oral structures. The aim of the present study was to compare resting salivary pH, buffering capacity, and secretory immunoglobulin A (sIgA), calcium, and phosphate concentrations between children with and without ECC. 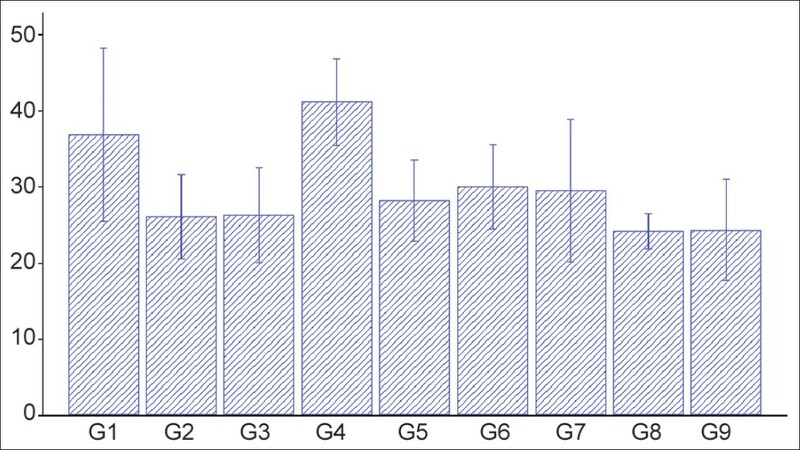 Materials and Methods: In this cross-sectional study, samples of unstimulated saliva of 90 children (45 in ECC group and 45 in caries-free group) were taken with Scully method. The pH and buffering capacity were determined by pH meter. sIgA, calcium, and phosphate concentrations were quantitated with ELISA, CPC photometric, and phosphomolybdate/UV methods. Results: The mean resting salivary pH was significantly higher among children without ECC and the buffering capacity was significantly better among this group (P = 0.002). The mean sIgA concentration was significantly higher among the ECC group (P = 0.015). There were no statistically significant differences between calcium and phosphate concentrations between the two groups. Conclusion: The higher mean resting salivary pH and better buffering capacity found in children without ECC are probably the contributing factors that protect against caries development; but further studies are needed to understand the effects of saliva and its characteristics and components on ECC. Background: About half of the orthodontists recycle and reuse orthodontic wires because of their costs. So when talking about reuse and sterilization of wires, their effects on mechanical properties of wires should be clarified. The purpose of this study was to assess the effects of sterilization and clinical use on mechanical properties of stainless steel wires. Materials and Methods: Thirty stainless steel orthodontic wires were divided into three equal groups of control, autoclave (sterilized by autoclave), and recycle group (wires were used for orthodontic patients up to 4 weeks, cleaned by isopropyl alcohol and sterilized by autoclave). 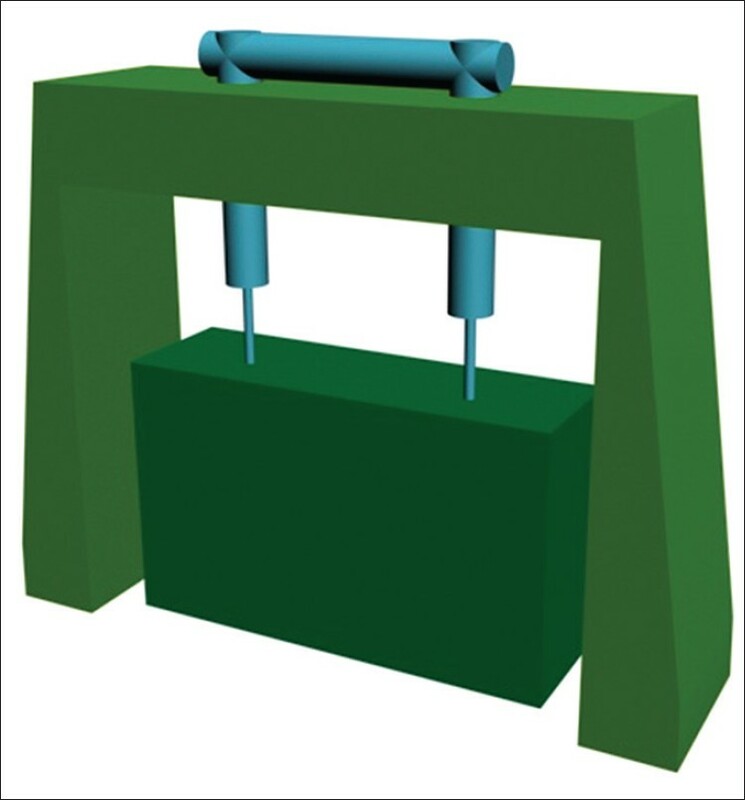 The mechanical properties (tensile test, three-point loading test for load-deflection curve) were determined. 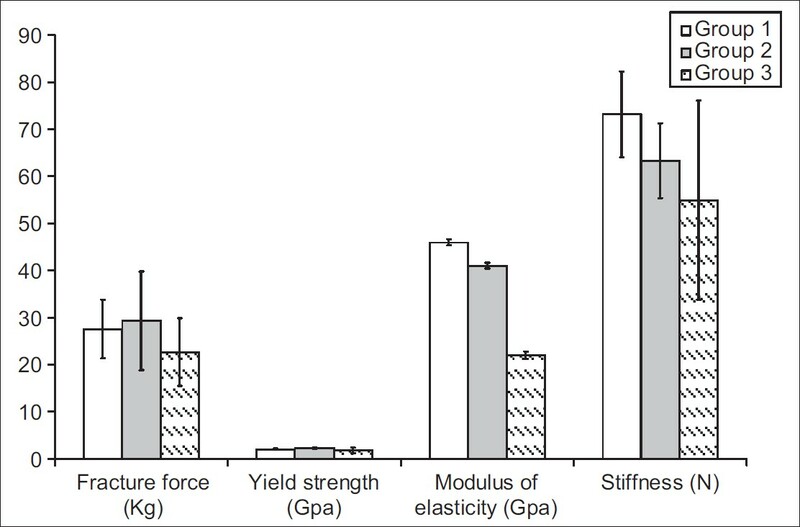 Results: Fracture force, yield strength, stiffness and modulus of elasticity in recycle groups were significantly lower than the other groups (P < 0.05). Conclusion: Although recycle wires were softer than those of control group, relatively small differences and also various properties of available wires have obscured the clinical predictability of their application. There is seemingly no problem in terms of mechanical properties to recycle orthodontic wires. The purpose of this systematic review was to assess the published data concerning zirconia dental implants from various aspects. To identify relevant literature an electronic search was performed of PubMed. Titles and abstracts were screened and articles that fulfilled the inclusion criteria were selected for a full-text reading. Articles were divided into four groups: 1) studies evaluating the mechanical properties of zirconia implants, 2) studies on osseointegration of zirconia, 3) studies on peri-implant tissue response to zirconia implant, and 4) studies on plaque accumulation with zirconia. Review of the selected articles showed that zirconia implants are reliable for placement in the jaw bone. Furthermore, zirconia implants present a material surface that is compatible with the peri-implant tissue and relatively less attractive to plaque. Based on the reviewed literature, it appears that zirconia has the potential to become the dental implant material of choice, especially for aesthetic restorations; however, some issues need to be studied further. Fungal infections in humans occur as a result of defects in the immune system. An increasing emergence in oral Candidal and non-Candidal fungal infections is evident in the past decade owing to the rise in the immunodeficient and immunocompromised population globally. Oral Candidal infection usually involves a compromised host and the compromise may be local or systemic. Local compromising factors include decreased salivation, poor oral hygiene, wearing dentures among others while systemic factors include diabetes mellitus, nutritional deficiency, HIV infection/AIDS and others. 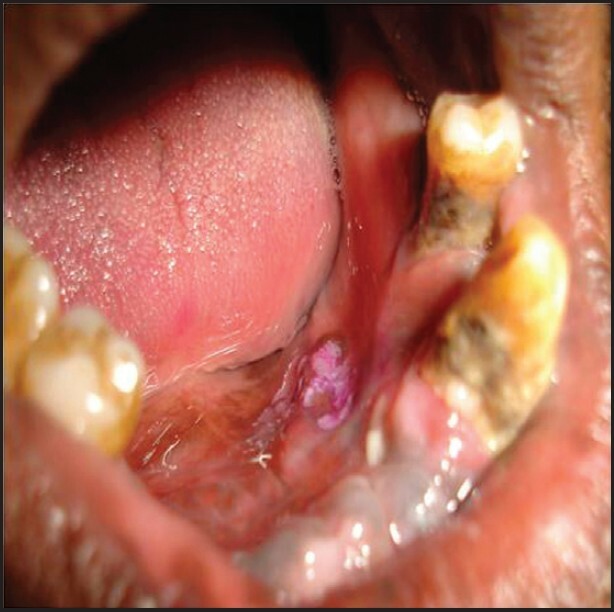 Oral candidiasis is generally a localized infection and rarely appears as a systemic fungal disease whereas oral non-Candidal fungal infections are usually signs of disseminated disease. Some of the non-Candidal fungi that were once considered exotic and geographically restricted are now seen worldwide, beyond their natural habitat, probably attributed to globalization and travels. Currently infections from these fungi are more prevalent than before and they may present either as primary oral lesions or as oral manifestations of systemic mycoses. This review discusses the various predisposing factors, clinical presentations, clinical differential diagnosis, diagnosis and management of oral candidiasis, as well as briefly highlights upon a few of the more exotic non-Candidal fungi that infect the oral mucosa. 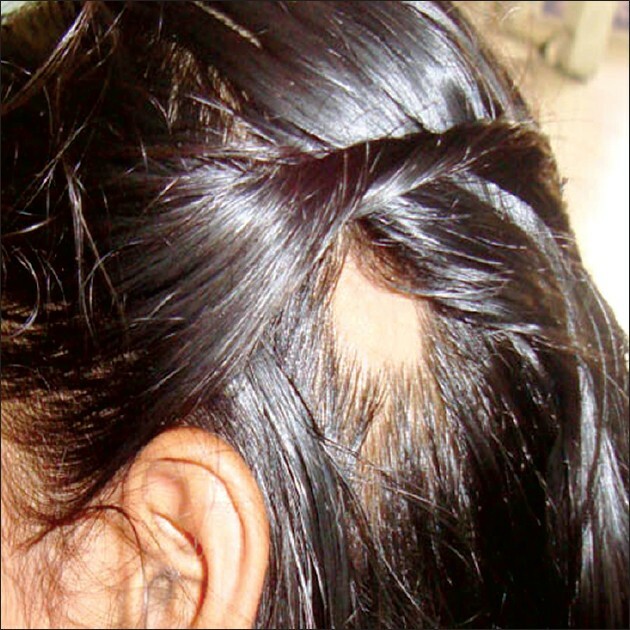 Alopecia areata (AA) is a chronic inflammatory disease that involves the hair follicle. Current evidence indicates that hair follicle inflammation in AA is caused by a T-cell-mediated autoimmune mechanism occurring in genetically predisposed individuals. AA has a reported incidence of 0.1%-0.2%, with a lifetime risk of 1.7%. It has also been found that AA accounts for roughly 2% of new dermatology outpatient cases in the US and the UK, 3.8% of cases in China and 6.7% of cases in Kuwait. Pediatric AA constitutes approximately 20% of all AA cases. AA affects males and females equally. The most common site to be affected is the scalp (90%). The face, eyebrows, eyelashes, beard, underarm hair, and pubic hair may be affected and, sometimes, even the entire body. AA requires combined therapy, involving topical or intralesional corticosteroids, immune therapy with diphenylcyclopropenone, and even psychotherapy. In some cases, treatment consists of simply eliminating the dental infectious process. This case report describes AA of dental origin in a 9-year-old girl, which resolved after management of the dental problem. Patients with HIV infection may develop common diseases with atypical clinical features. HIV infection can change the classic clinical course of syphilis and increase the incidence of malignant syphilis. Malignant syphilis is a rare subtype of secondary syphilis that presents special clinical and histological features and has been associated with several processes characterized by variable degrees of immunosuppression. It is necessary to consider the possibility of this entity in the differential diagnoses in HIV-infected patients with cutaneous lesions. The dental surgeon (or oral surgeon) is vital to the medical team for promoting the health and improving the quality of life of syphilis patients. A patient with HIV infection was referred to us for complaints of a white patch on the tongue, stinging and burning sensation on the tongue, loss of taste, and dryness of the mouth. On clinical examination, the patient was found to have a tabetic gait (the Prussian soldier gait) associated with Charcot arthropathy. We also identified bilateral lesions with ulceration and exposure of the tissue that were tender, characterized by discrete necrosis. The treatment that was initiated at that time involved cleaning the area with gauze to remove all the white patches, followed by rinsing with bicarbonate in water (one teaspoon of baking soda dissolved in half a glass of water) four times a day. Additionally, fluconazole (100 mg/day for 7 days) was prescribed. We diagnosed secondary malignant syphilis of approximately 5 days duration. As an adjunctive therapy, we performed low-intensity laser treatment using a GaAsAl (gallium-aluminum arsenide) laser at 790 nm. With this treatment there was progressive resolution of the lesions. Chlorhexidine is commonly used in dentistry in various forms. Allergic reactions to chlorhexidine of both immediate and delayed type have been reported. Although the incidence is low there may be severe manifestations in some patients. 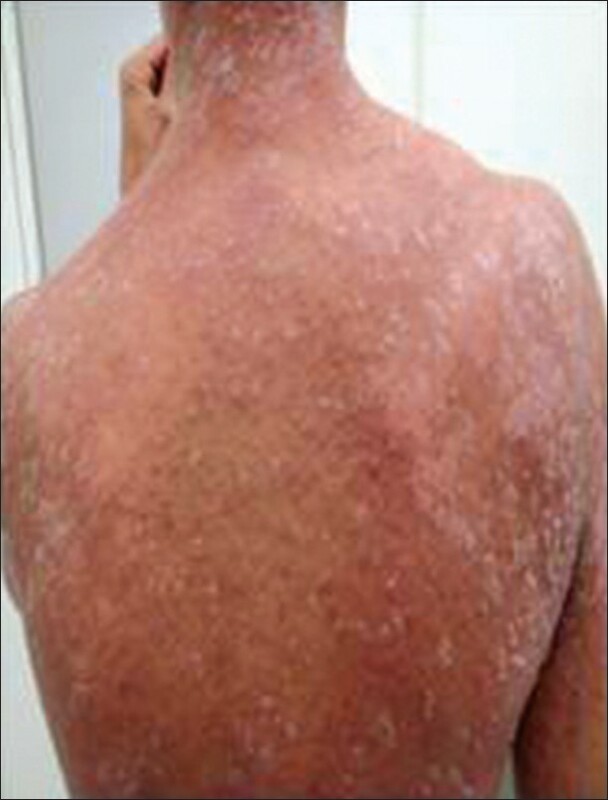 This report presents a case of allergy to chlorhexidine following topical application. Reactive hyperplasias comprise a group of fibrous connective tissue lesions that commonly occur in oral mucosa secondary to injury. Peripheral fibroma is also a type of reactive hyperplasia. Peripheral fibroma is a reactive hyperplastic mass that occurs on the gingiva and is derived from connective tissue of the submucosa or periodontal ligament. It may occur at any age, although it does have a predilection for young adults. 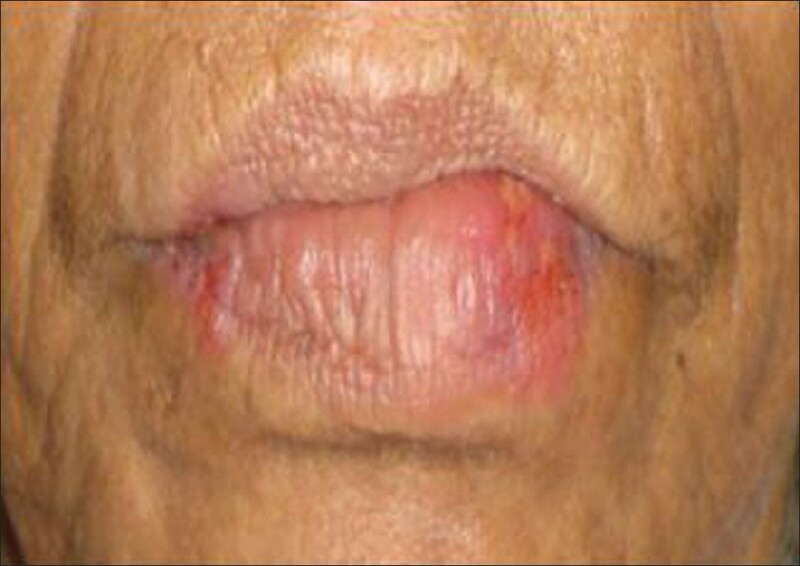 Females develop these lesions more commonly than do males. Here, we are presenting a case report of a child who is 6 years old and presented to us with a swelling in the lower anterior region which was providing discomfort to the child and also was obstructing the eruption pathway of the permanent central incisor in the region. The lesion was surgically excised. Nail biting is a stress removing habit adopted by many children and adults. People usually do it when they are nervous, stressed, hungry, or bored. All of these situations are having a common phenomenon between them is anxiety. Onychophagia is also a sign of other emotional or mental disorders. It is a habit that is not easy to quit and reflection of extreme nervousness or inability to handle stressful conditions. This abnormal habit may cause various malocclusions associated with dentoalveolar segment of the oral cavity. Crowding and rotations of incisors are common with this habit. Intravenous bisphosphonates (BP) play a key role in the treatment of bone metastases. As a long-term side effects BP, a form of avascular osteonecrosis of the jaw has been reported. Although, invasive oral local procedures are often present in clinical history of patients suffering from bisphosphonates-related osteonecrosis of the jaws (BRONJ), about up to 50% of BRONJ are spontaneous. 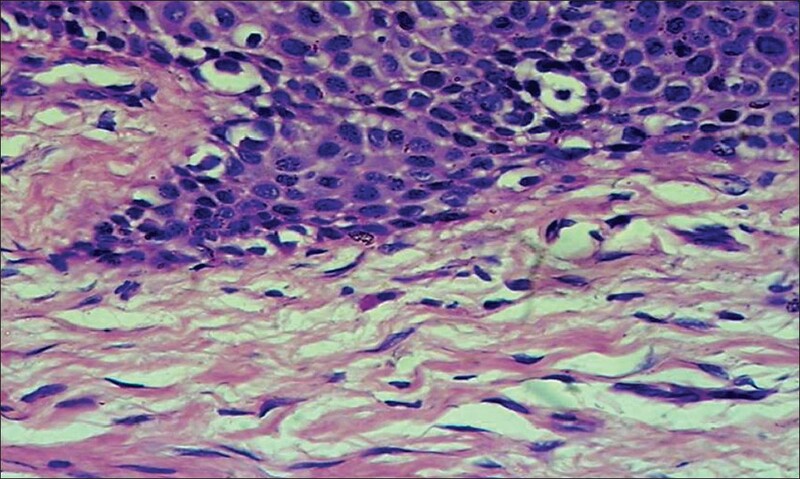 We report a case of a 68-year-old female with a spontaneous wide bone sequestration of the left mandibular body onset after infusion of zoledronic acid for 18 cycles for osseous metastasis due to metastatic anaplastic thyroidal carcinoma. Surprisingly the clinical aspects of the patient initially reminded us of the famous pathology described in 1899 called phossy jaw. This case is remarkable not only for the spontaneity of the osteonecrosis, but, above all, for the clinical similarity with cases of phossy jaw, described for the first time in the literature, thereby suggesting a potential common pathogenesis. Objective: The intent of this study was to evaluate the effect of plastination on the morphology and structure of stored organs, to find out how much accuracy a plastinated specimen has, and to look into the changes that occurred because of plastination. 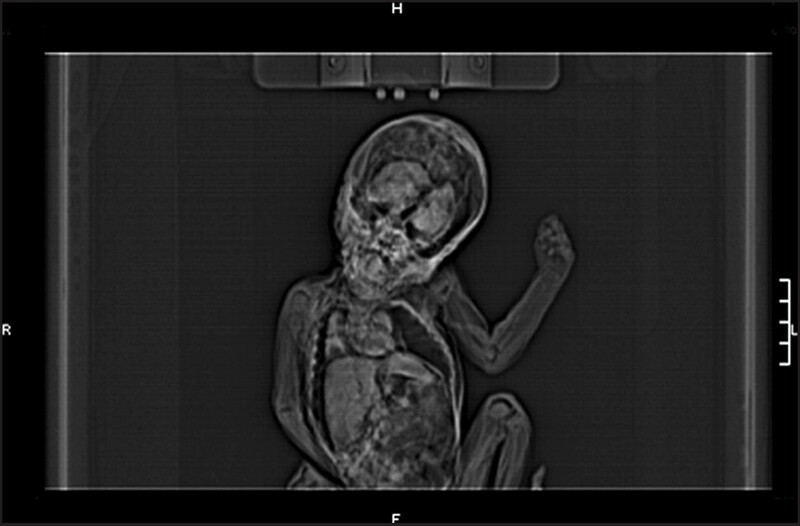 Materials and Methods: A human fetus of gestational age 24 weeks was plastinated, and 3D CT scan evaluation of the fetus was done. Results: The results showed normal, well-defined, clearly identifiable organs, with no alteration in morphology and structure of organs. Conclusion: In our opinion, plastinated specimens are better way of visualization of morphology and structure of stored organs, which is a useful tool for teaching as well as for research purposes. Context: The study assesses the apical sealing ability of two obturating materials (resilon and gutta-percha) with their sealants by means of the dye penetration method using India ink. Aims: To compare the resistance to apical dye penetration between resilon (with Epiphany sealer; Epiphany®, Pentron clinical technologies, USA) and gutta-percha (with AH Plus sealer; Dentsply, Maillefer, Germany). It was hypothesized that there would be no difference between the two groups with regard to apical dye penetration. Settings and design: Hundred mandibular first premolars from individuals aged between 20 to 25 years were selected after their lengths were standardized. Materials and Methods: Instrumentation was performed with NiTi hand protaper files (Dentsply, Maillefer) using EDTA paste and copious irrigation with 2.5% sodium hypochlorite. Experimental group 1 consisted of roots that were treated with Epiphany primer and obturated with resilon (with Epiphany sealer). Experimental group 2 consisted of those obturated with gutta-percha using AH Plus sealer. The samples were immersed in blue India Ink and cleared using 5% nitric acid. Dye penetration was assessed under a stereomicroscope. Statistical analysis: Mann-Whitney U test. 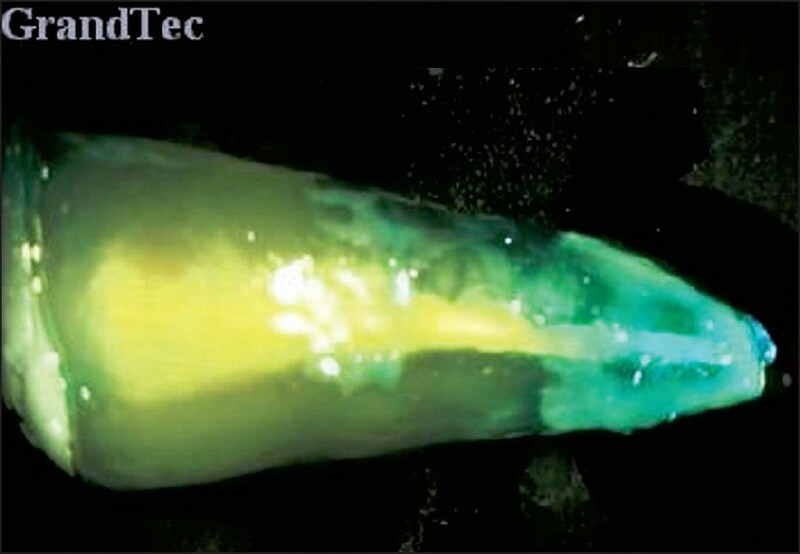 Results: Roots obturated with resilon core material and Epiphany sealer exhibited lesser mean apical dye penetration (1.281 mm; SD: 0.742) in comparison to those obturated with gutta-percha and AH plus sealer (2.154 mm; SD: 0.814). The difference was found to be highly significant (P<0.0025). Conclusion: Resilon (with Epiphany sealer) provided better radicular apical sealing in comparison to gutta percha (with AH Plus sealer). Background: Helicobacter pylori infection, the commonest chronic bacterial infection in humans, causes chronic gastritis, peptic ulcer, and possibly gastric carcinoma and lymphoma. Recently, investigators have focused on its role in the development of extra-gastrointestinal diseases with oral manifestations. H. pylori infection can be diagnosed by various methods. Of late, H. pylori IgG antibodies have been detected in saliva using enzyme-linked immunosorbent assay (ELISA). However, local validation of serological test is needed before implementing a test in different populations. Aims: To detect anti H. pylori specific immunoglobulin G (IgG) antibodies in saliva of adult patients with gastrointestinal symptoms by ELISA, to diagnose H. pylori infection in such patients by histopathology, and to evaluate the diagnostic accuracy of the immunoassay as compared to histopathologic diagnosis. Methods: The study included 40 adult patients with gastrointestinal symptoms suggestive of peptic ulcer disease. Saliva samples were analyzed for anti H. pylori IgG using EIAgen H. pylori IgG kit. Histopathologic diagnosis using gastric biopsy samples was the gold standard. Results: The sensitivity and specificity of the test were 79.31% and 63.64%, respectively. The positive and negative predictive values were 85.19% and 53.85%, respectively. The accuracy of EIAgen H. pylori IgG kit for salivary detection of anti H. pylori IgG antibodies was found to be 75%. Conclusion: EIAgen H. pylori IgG assay is a noninvasive, moderately accurate, and sensitive method for the detection of H. pylori infection in saliva. Salivary anti H. pylori IgG test prior to endoscopy is a useful screening test for seroepidemiological studies. Introduction: Mast cells are granule containing secretory cells present in oral mucosal and connective tissue environment. Oral lichen planus and oral lichenoid lesions are commonly occurring oral diseases and have some similarity clinically and histologically. Both are characterized by an extensive sub epithelial infiltrate of T cells, together with mast cells, eosinophils and blood capillaries. In this study mast cell and eosinophil densities along with number of blood capillaries were studied to find out if they could aid in histopathological distinction between oral lichen planus and lichenoid mucositis. Aims: To enumerate mast cells and compare the status of Mast Cells (Intact or Degranulated) in Lichen planus, Lichenoid mucositis and normal buccal mucosa in tissue sections stained with Toluidine Blue, and also to enumerate Eosinophils and blood capillaries in tissue sections stained with H and E. Materials and Methods: The study group included 30 cases each of oral lichen planus and oral lichenoid mucositis. 10 cases of clinically normal oral buccal mucosa formed the control group. All the sections were stained with Toluidine blue and H and E separately. Histopathological analysis was done using binocular light microscope equipped with square ocular grid to standardize the field of evaluation. Results: The result of the study showed. Significant increase in number of mast cells in oral lichen planus and oral lichenoid mucositis compared to normal buccal mucosa. Significant increase of intact mast cells suepithelially within the inflammatory cell infiltrate in oral lichen planus compared to oral lichenoid mucositis. Significant increase of degranulated mast cells in oral lichenoid mucositis to oral lichen planus, and increase in number of eosinophil densities in oral lichenoid mucositis compared to oral lichen planus. Significant increase in number of capillaries in oral lichenoid mucositis compared to oral lichen planus. Conclusion: The findings of increased number of intact mast cells sub epithelially in oral lichen planus to oral lichenoid mucositis and increase in number of degranulated mast cells as well as capillaries subepithelially in oral lichenoid mucositis to oral lichen planus can be used as reliable criteria for histologic distinction between these two lesions. The increase of eosinophils in oral lichenoid mucositis to oral lichen planus could be used as adjunct histologic criterion in the diagnosis of oral lichenoid mucositis. Background: Triphala is a botanical preparation consisting of equal parts of three herbal fruits. Much revered in Ayurveda, triphala has been proven to have antibacterial, antiviral, antifungal actions. Aims and Objectives: The objective of this study was to investigate the effect of 6% triphala in a mouthwash formulation on the salivary streptococci levels at the end of 48 h and 7 days, of twice a day usage, and to compare the same with 0.2% chlorhexidine. Materials and Methods: Sixty undergraduate student volunteers aged between 18 and 25 years were randomly allocated into three study groups. (a) 6% triphala mouthwash, 15 ml twice a day; (b) 0.2% chlorhexidine mouthwash, 15 ml twice a day (active control group); (c) passive control group asked to rinse with plain water, twice a day. The oral streptococci colony forming units/ml (CFUs/ml) was assessed by inoculating blood agar with saliva samples at the end of 48 h and at 7 days. 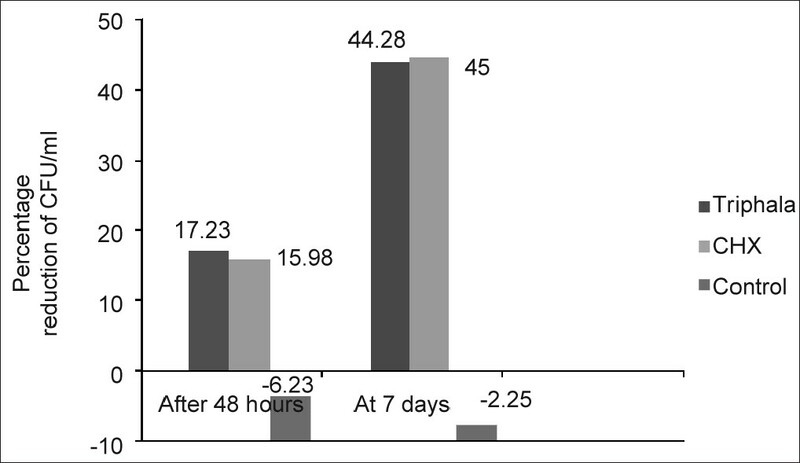 Results: The triphala group showed a 17% and 44% reduction, while the chlorhexidine group showed 16% and 45% reduction at the end of 48 h and 7 days (P < 0.001). The reduction in CFUs/ml seen in triphala group closely paralleled that of chlorhexidine group. Conclusion: Triphala has been used in Ayurveda from time immemorial and has many potential systemic benefits. The promising results shown by Triphala call for further investigations of its antimicrobial effects against the numerous oral microorganisms. Objectives: The purpose of this study was to compare the clinical efficiency of chemomechanical caries removal using Carisolv® and Papacarie® - a papain gel. Materials and Methods: The Carisolv® system for caries removal, consisting of a solvent gel and a specially designed hand instrument, was compared to Papacarie - a papain gel. The outcome variables were: time taken for complete caries removal and volume of carious tissue excavated. Forty patients in the age-group of 20-40 years, having Black's class I dentinal caries with cavity entrance size of ≥3 mm in the molars, were enrolled for the study. The time taken for the complete removal of caries was measured using a stopwatch. 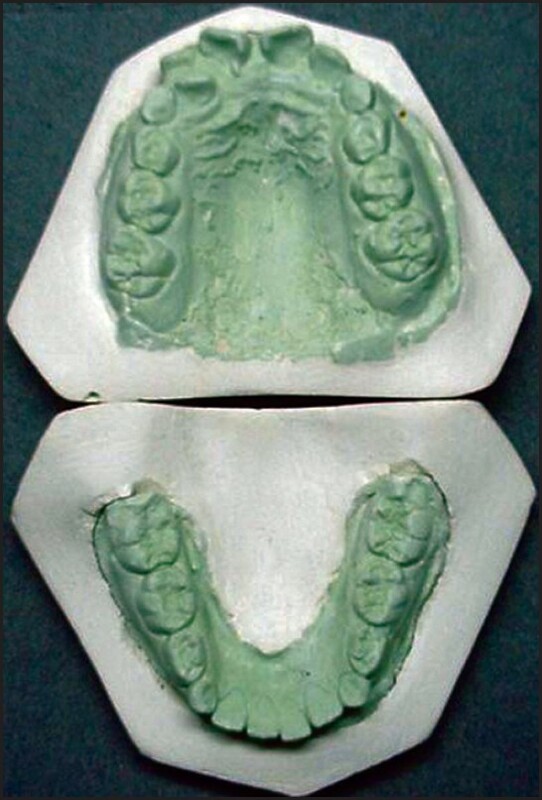 Pre- and post-excavation single-step putty/wash elastomeric impression was recorded using addition silicone impression material. Subsequently, casts were poured and measured under a traveling microscope. The total volume of caries excavated was computed using the formula π (d/2)2 h. The difference between the two groups in clinical efficiency and volume excavated was statistically analyzed using the Student's unpaired 't' test. Results: The time for caries removal with Carisolv® and Papacarie® were, respectively, 11.67 ± 3.25 minutes and 10.48 ± 2.96 minutes (P>.05). The mean volume of carious tissue removed with Papacarie® (135.99 ± 66.43 mm 3 ) was higher than that with Carisolv® (126.33 ± 53.56 mm 3 ); however, the difference was not significant. Conclusion: Carisolv® and Papacarie® have similar clinically efficiency as chemomechanical agents for dentinal caries removal. Aim: The aim of this study was to evaluate the prevalence of developmental defects of enamel in children with asthma and its relation to specific characteristics of disease such as symptom onset, asthma severity and treatment initiation in pediatric asthma patients. Materials and Methods: Children and adolescents (104 asthma patients and 104 control subjects), 7-14 years of age and residents of the city of Chennai were enrolled in the study. Medical and dental histories were obtained through the use of structured questionnaire. Each participant underwent a dental examination in which the examiner applied the modified developmental defect index. Results: The prevalence of DDE in this study was as follows: of the 104 asthma group subjects, 80 (76.9%) presented with dental enamel defects, compared with only 28 (26.9%) of those in the control group. Using multivariate logistic regression analysis, the estimated risk of DDE in permanent dentition was 12 times higher in pediatric subjects with asthma than in those without asthma (OR - 12.526, P = 0.001). The occurrence of dental enamel defects correlated with greater asthma severity (P = 0.001) and earlier symptom onset (P = 0.001). However, dental enamel defects did not correlate with the timing of the initiation of treatment (P = 0.041). Conclusion: Pediatric asthma patients with severe, early onset asthma are at increased risk of dental enamel defects and therefore require priority dental care. Background: Ameloblastoma is benign odontogenic tumor, usually affecting the posterior region of mandible. It is seen in the third to fifth decades of life. Radiographically the lesion is variable in appearance and may be unilocular or multilocular, with well-defined cortical borders in the mandible and ill-defined margins in the maxilla. Objective: To analyze cases of ameloblastoma, with emphasis on the radiographic findings. We also review the current literature briefly and discuss the clinical and radiographic findings. Materials and Methods: The present hospital-based retrospective study was conducted by reviewing the clinical and radiographic records of ameloblastoma cases from 2009 to 2011, available in the archives of the department. The data of a total of 14 patients were analyzed. Results: We observed that the patients affected with ameloblastoma were in the age-group of 19-68 years. The male: female ratio was 1.3:1. The mandible (78.57%) was more commonly affected than the maxilla (14.28%). Six patients (42.86%) had unilateral involvement and eight cases (57.14%) had bilateral involvement. 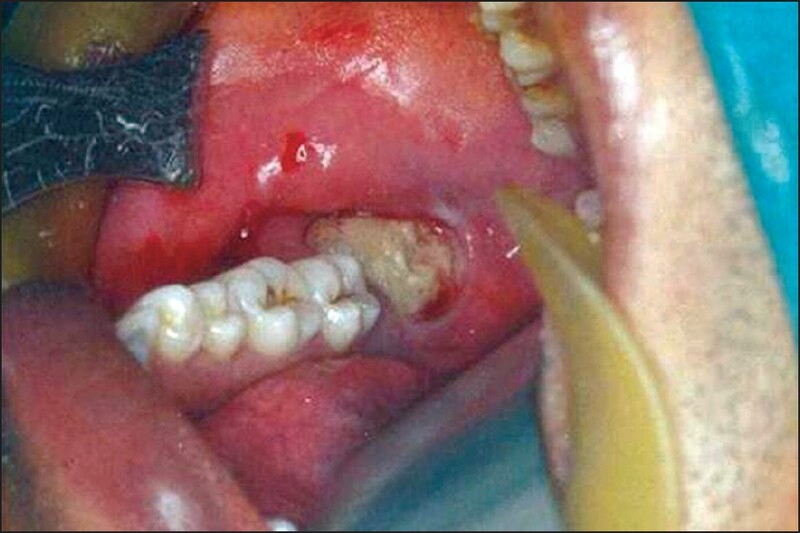 The multilocular and unilocular types of ameloblastoma were noted in 12 (85.72%) and 2 cases (14.28%), respectively. The soap-bubble (50.00%), spider-web (21.43%), and honeycomb (14.28%) appearances were seen in the multilocular variety. 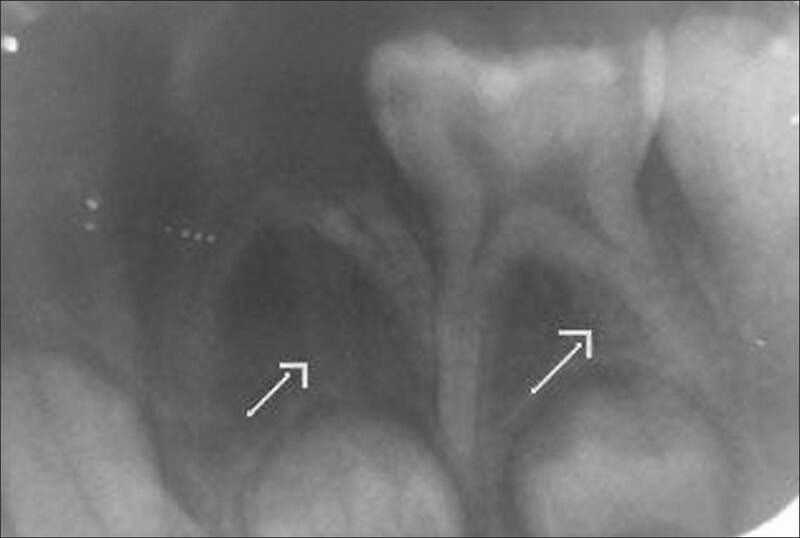 Root resorption of variable degree was distinctly observed in 11 cases (78.57%). Conclusion: Radiographs are an important aid for the diagnosis of oral lesions of various types, especially those that involve bone. It is important for the practicing clinicians to know the salient features of ameloblastoma which are peculiar to the local population. Objective: To investigate whether the application of thyroid collars (TCs) affects the results of cephalometric study. Study Design: The Steiner cephalometric analysis of the patients was performed using lateral cephalometric radiographs, which were taken twice for each patient: Once using TCs (TC group; n0 = 50) and once without using TCs (NTC group; n = 50). A randomized and observer-blinded diagnostic study with head films taken from the two aforementioned groups was performed and results were evaluated with the t-test and Z-test, using GraphPad® Prism 4 software. Results : Statistical analysis using t-test was performed. The values of the line angles used in Steiner cephalometric analysis were compared for which values of each angle remained unchanged when done using TCs and without TC to the same samples. Conclusions : Lead shielding of the thyroid gland does not affect landmark identification or the specific measurements of the angulations traced during cephalometric analysis. TCs should be routinely applied during cephalometric radiography if cephalometric analyses are limited to the structures above the second cervical vertebra. Odontomas are hamartomatous malformations of odontogenic origin composed of all the structures that form the tooth. 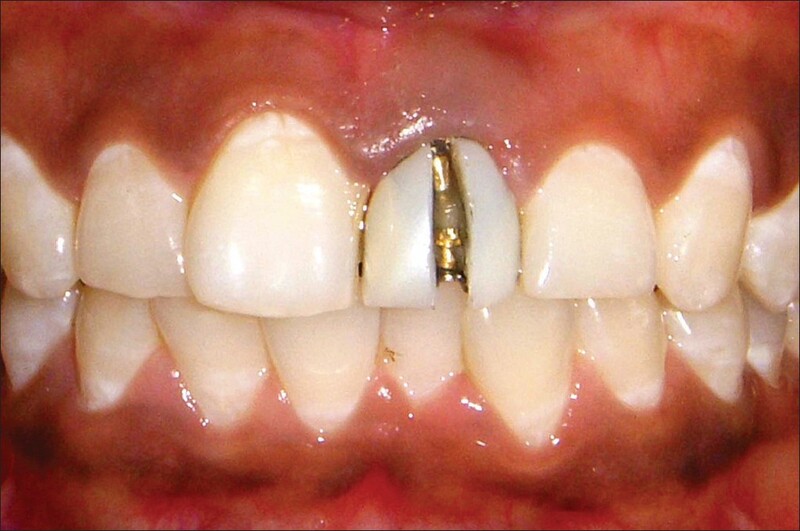 Pigmentation associated with odontomas is rare, with only two cases reported in the literature. The genesis of this composite malformation is attributable to the organizational failure of the developing odontogenic apparatus leading to abnormal morphodifferentiation. Although some odontomas erupt into the oral cavity, it defies the existing views of normal physiologic tooth movement thus raising questions over the use of this term. Here, we review a case of large odontoma in a 23-year-old male surfacing into the oral cavity from its intraosseous location. The unusual occurrence of melanotic pigmentation in the odontogenic epithelial rests was demonstrated by Mason Fontana special stain. 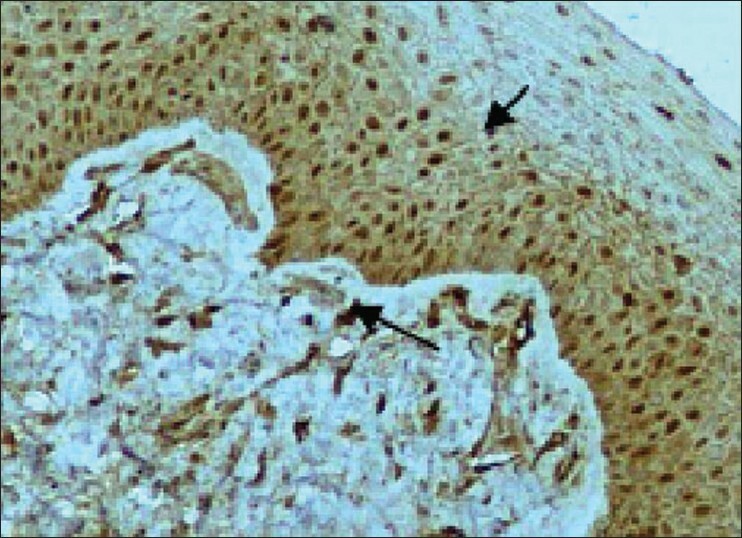 The histogenesis of this unusual entity and explanation to its possible occurrence is discussed. The dental literature contains a small number of reports of primary multi-rooted anomalies. Among these reports the majority are regarding three-rooted primary mandibular second molar anomalies. The presence of bilateral three-rooted primary mandibular first and second molars is uncommon. There have been no reports of three-rooted primary molars from India. Here, we present a case of an 8-year-old boy with bilateral three-rooted primary mandibular first and second molars. Concomitant hypo-hyperdontia is a rare condition of coexisting missing teeth and supernumerary teeth in the same subject. Its etiology is still not exactly known. Permanent dentition is usually affected. Presented here are two uncommon cases of bimaxillary concomitant hypo-hyperdontia during the mixed dentition period. Early diagnosis of the condition and multidisciplinary approach for management of such cases is recommended.